You’re reading novel Dragon-Marked War God Chapter 11 – The ancestor’s tomb must have exploded online at LightNovelFree.com. Please use the follow button to get notification about the latest chapter next time when you visit LightNovelFree.com. Use F11 button to read novel in full-screen(PC only). Drop by anytime you want to read free – fast – latest novel. It’s great if you could leave a comment, share your opinion about the new chapters, new novel with others on the internet. We’ll do our best to bring you the finest, latest novel everyday. Enjoy! The fat old man said as he punched his own chest and stepped hard on the floor while the skinny old man almost started crying out loud.They all had one single thought in their heads–they had been wasting their entire lives as alchemists. Zhou Bei Zhen couldn’t hold himself back either, his eyes refused to stop glaring at the restoration pill with 100%effectiveness laying on his palm.He was bursting with excitement.As an alchemist himself, this was the first time he had ever seen a pill with 100%effectiveness. The trio almost fell down to the ground, and their only thought right now was to strangle this brat. They managed to calm themselves down after a few more minutes.The way they looked at Jiang Chen had changed as well, and currently they understood one thing:geniuses, definitely existed, but you just can’t use common sense to find them. Besides being shocked, Zhou Ben Zhen and the other two felt happy and relieved as well.Jiang Zhen Hai sure was lucky to have a son like Jiang Chen since Jiang Chen managed to produce restoration pills with 100%effectiveness…Their pill shop wouldn’t be the one to suffer! Zhou Bei Zhen felt even more shocked now.The Yuan power and Soul power both drained quickly when an alchemist concocted pills.Although the restoration pill was a basic pill, making it with 100%effectiveness would surely drain a person’s power much faster than a regular restoration pill.However, it seemed like Jiang Chen hadn’t lost any energy after creating those pills…This was unheard of! Jiang Chen said while patting his chest, however there was also another reason behind why he wanted to concoct pills.He was cultivating the Dragon Transformation skill, thus his need of Yuan Qi pills was monstrous!Yuan Qi pills were one of the things he would need the most on his cultivation path.Restoration pills were just one of the Yuan Qi pills, above those were Earth restoration pills and Heaven restoration pills.In the real world of cultivation, restoration pills were one of the most basic currencies.Only a small city like Tian Xian would use money to buy restoration pills. These restoration pills were so basic that Jiang Chen had treated them like trash in his past life, but now he had to prepare some for himself. Jiang Chen went back into the furnace room with a smile on his face and an energetic look.To others, concocting pills would drain their Soul Power incredibly fast, but Jiang Chen wasn’t afraid of running out of Soul Power. He thought to himself with a smile.The experiences and memories of his past life regarding cultivation and skills were the biggest treasures he owned. In the Saint Origin universe, skills that could train one’s soul were hard to find, and it would definitely impossible to find one here in Fragrant Sky city.Even the ones that were of the lowest level.That was why most of the alchemists here couldn’t produce pills with high effectiveness. The Mighty Soul Derivation skill was the most powerful skill that could train one’s soul in this world.It provided unlimited Soul Power for those who practiced it, therefore you would never run out of Soul Power when concocting pills. Jiang Chen was currently cultivating the mighty Dragon Transformation skill.Not only can it form a Dragon Mark in his body, but it will also make his body stronger, eventually allowing him to reach a stage where he can transform into a dragon. The combination of the Dragon Transformation skill and the Mighty Soul Derivation skill ended up training Jiang Chen’s Qi, Body and Soul at the same time.It would take him at least 20 years before he could become a Saint again, but by then he would have already surpa.s.sed his previous self.Maybe then he can break through yet again and become a G.o.d. Jiang Chen had become a genius alchemist…This was good news!He had to inform Jiang Zhen Hai at once. Jiang Zhen Hai couldn’t stop training after Jiang Chen gave him the Xuan Yuan cultivation skill.He had limited talent when it came to cultivation, so it wasn’t easy for him to cultivate with this abstruse skill.According to Jiang Chen’s estimation, it would be great if Jiang Zhen Hai could touch the foundation of this skill within one month. Jiang Zhen Hai asked with a frown on his face. Zhou Bei Zhen said with smile. Jiang Zhen Hai jumped up from his seat immediately. Zhou Bei Zhen purposely hid the true ident.i.ty of the alchemist. Jiang Zhen Hai was stunned.He searched through all the information in his brain, but he failed to remember meeting someone who could produce pills with 100%effectiveness. Jiang Zhen Hai was extremely interested in finding out who this person was.This matter was related to the existence of their pill shop, so it was only obvious that he showed so much concern for it. Jiang Chen kept on concocting restoration pills, and he didn’t stop until it was evening.He had produced more than 100 restoration pills…If anyone knew about this then they would be scared to death…However, most of these pills went into Jiang Chen’s own pocket. Jiang Chen felt tired at this moment, but it wasn’t because of constantly using his Soul Power.With the might of the Soul Derivation Skill, he would never have to worry about running out of Soul Power. There were two reasons for why he was feeling tired.First, the drainage of his Yuan power.Concocting pills will use both Soul Power and Yuan power.Even if the Dragon Transformation skill was powerful, the first Dragon Mark wasn’t fully formed yet.He couldn’t use Yuan power nonstop for hours. Secondly, when concentrating on the same thing for hours, the body will naturally tire. Jiang Chen thought to himself.The problem was clear, it was his body.The body had stored a lot of pills and elixirs for over a decade and had been trained with the Dragon Transformation skill.His roots, however, were still too weak. Tiger Restoration Pills was what strengthens one’s roots, and that was what he needed right now. There was a pen and paper in the furnace room in preparation to write down all the ingredients required to make a Tiger Restoration Pill.The ingredients were not hard to find, especially for a big family like the Jiang family.He could easily obtain what he wanted.There were only a few ingredients that were difficult to find, but he can subst.i.tute them with different ingredients. But, there was one ingredient that cannot be subst.i.tuted with anything…The soul of a Tiger Demon. Jiang Chen thought.The most powerful warrior in Fragrant Sky city was only at the peak of Qi Hai level, it will be impossible to find a Mortal Core level tiger demon.He can only ask for a lower grade replacement, using a Tiger demon soul of Qi Hai level. After writing down all the ingredient needed to create a Tiger Restoration Pill, he walked out of the furnace room. Jiang Zhen Hai and the others had been waiting outside the furnace room for a long time, but they didn’t dare show any impatience.Jiang Zhen Hai kept asking the trio who the alchemist was, but Zhou Bei Zhen and the others just smiled and kept their mouths shut, wanting to surprise him. Jiang Zhen Hai saw Jiang Chen walking out of the furnace room, and he was so shocked that he fell to the ground. Jiang Chen asked with a smile on his face.Jiang Zhen Hai’s appearance was not unexpecteds.Zhou Bei Zhen was a good friend of his dad, so he would naturally go tell Jiang Zhen Hai about the good news. Zhou Bei Zhen replied with a big smile on his face. Jiang Zhen Hai responded just like the trio had when they first heard Jiang Chen tell them that he knew how to concoct pills. Jiang Chen teased his dad. Jiang Zhen Hai was lost in his own thoughts.After a couple of seconds he started laughing out loud with tears flowing down his face.He walked towards Jiang Chen and gave him a strong hug. He was incredibly happy, and he was thanking the G.o.ds for turning his son into some genius.He only had one son, and all the troubles caused by him over the last decade had made him depressed. Zhou Bei Zhen teased with smile. Jiang Zhen Hai was thrilled and could barely hold himself.All parents wished to see their children achieve greatness. Jiang Chen took out twenty restoration pills as he spoke. The trio shouted in disbelief.In only a few hours, he had managed to produce twenty restoration pills with 100%effectiveness…Was this really his first time concocting pills? Jiang Zhen Hai said as he started laughing out loud. You're reading novel Dragon-Marked War God Chapter 11 – The ancestor’s tomb must have exploded online at LightNovelFree.com. You can use the follow function to bookmark your favorite novel ( Only for registered users ). If you find any errors ( broken links, can't load photos, etc.. ), Please let us know so we can fix it as soon as possible. And when you start a conversation or debate about a certain topic with other people, please do not offend them just because you don't like their opinions. You're reading Dragon-Marked War God Chapter 11 – The ancestor’s tomb must have exploded. This novel has been translated by Updating. 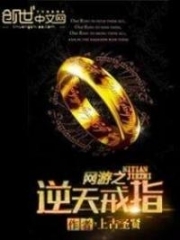 Author: Su Yue Xi already has 18279 views. Current Time is Apr-21-2019 06:43:33 AM.